June 26 was a groundbreaking day for the US cannabis industry. That’s the day the FDA, the US agency responsible for approving new drug candidates, approved its first-ever cannabis drug. The first-ever medical treatment derived from a marijuana plant will hit the U.S. market in a few months after regulators on Monday gave the epilepsy treatment the green light. The Food and Drug Administration approved GW Pharmaceuticals Plc’s Epidiolex to treat two rare forms of childhood epilepsy, according to a statement from the agency. The liquid is made from a compound in the marijuana plant called cannabidiol, a different chemical from tetrahydrocannabinol, or THC, which gets users high. First Marijuana-Based Medicine Is Approved for Sale in U.S. This ruling is important for two reasons. #1 GW could see big profits from the FDA approval: Many analysts are predicting Epidiolex will become the first ever cannabis blockbuster, with annual sales topping $1 billion. If that happens I expect GW’s share price to rally big. #2 The FDA just set an important precedent: This approval signals an important shift at the FDA – a willingness to not just review but approve cannabis-based drugs. It gives cannabis drugs a big dose of credibility. 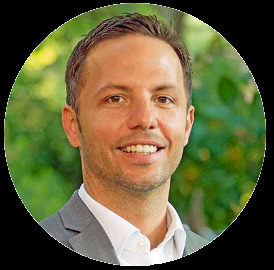 Today I am going to reveal another promising cannabis biotech that could be one of the next to score an FDA approval for a cannabis-based drug. This young biotech is one of the most promising US cannabis biotechs. Its lead drug candidate just got good news from the FDA. Shares have already started rallying, but there is still time to get in. 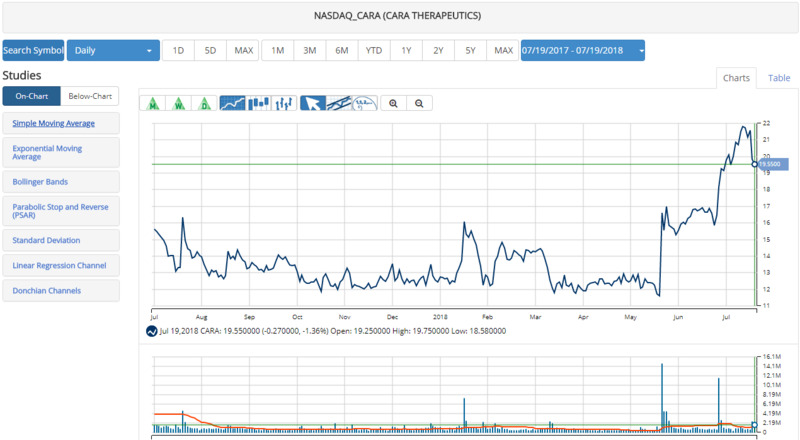 Cara Therapeutics (CARA) is a promising, US cannabis biotech that could be one of the next to score an FDA approval for a cannabis-based drug. Cara shares are traded on the NASDAQ. Its market cap of $700 million makes it one of the larger cannabis biotechs – but this company is still a micro-cap compared to the broader biotech and pharma industry. Cara’s lead drug candidate CR485 is in a late-stage study for the treatment of postoperative pain. CR845 is also in a late-stage study for the treatment of chronic kidney disease-associated pruritus (CKD-aP), leading to chronic itching by many patients on dialysis. This is the primary drug candidate we want to keep our eye on for the time being. Any good news on CR485 I would expect to give shares a nice jolt. In fact, that’s what happened two weeks ago. Shares of Cara jumped 23% on June 27 after the company announced positive FDA test results on CR845. 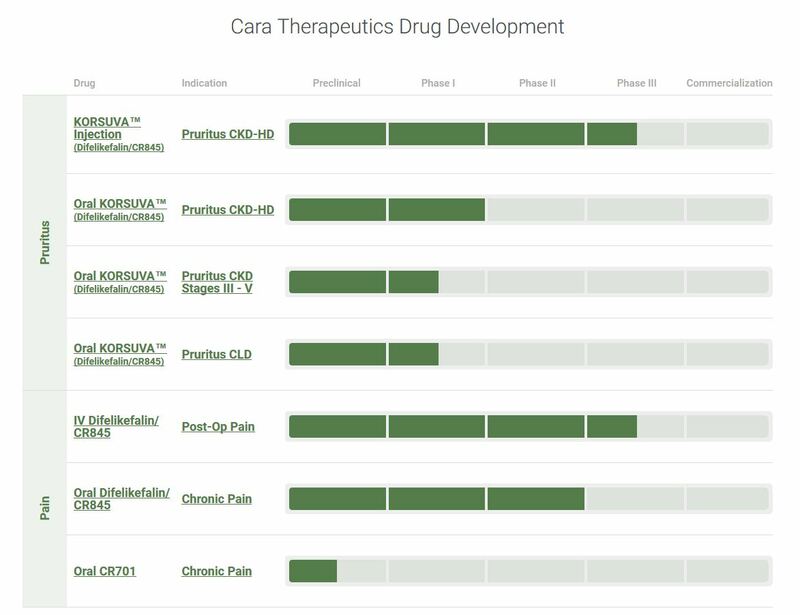 Cara Therapeutics announced positive top-line data from the adaptive Phase 2/3 trial of I.V. CR845 in patients undergoing abdominal surgeries. At the 1.0 mcg/kg dose, I.V. CR845 demonstrated statistically significant reductions in pain intensity compared to placebo at all pre-specified post-operative periods of 0-6 hours (p=0.001); 0-12 hours (p=0.004); 0-18 hours (p=0.013); and 0-24 hours (p=0.032). Additionally, I.V. CR845 treatment resulted in statistically significant reductions in the incidence of post-operative nausea and vomiting over the 24-hour period post-surgery for both 0.5 and 1.0 mcg/kg doses (p=0.006; p<0.0001, respectively). “We are very pleased that these data demonstrate the overall benefit of I.V. CR845 in both providing pain relief across surgery types up to 24 hours post-surgery and reducing post-operative nausea and vomiting, a significant medical need in the post-operative setting,” said Derek Chalmers, Ph.D., D.Sc., President and Chief Executive Officer of Cara Therapeutics. Here’s a link to the full report if anyone wants to take a closer look. This is great news for Cara. It moves CR845 one step closer to potential commercialization – a trigger that could create a second cannabis blockbuster. Looking forward I am expecting to see a lot more good news on CR845. And if that happens, it should drive shares higher. Cara also looks like a great buyout target. Big pharma is flush with cash right now and desperately searching for growth. Buying a promising young cannabis biotech is a great way to quickly enter the high-growth cannabis sector. Keep an eye out for news of a buyout – that could send shares of Cara soaring. Investors are optimistic on Cara. Shares have been rallying for the last month after some good news on clinical trials. Cara looks a little overbought in the short run. But looking forward I am expecting shares to continue rising on expectations for CR845. Biotechs live and die on the success of FDA clinical trials. CR845 has logged a string of good news, but any setbacks on clinical trials would weigh on shares. Cara Therapeutics could be the next cannabis biotech to land a lucrative FDA drug approval. The company also looks like a great buyout target. Both events could easily send shares soaring deep into a new all-time high. Have you forgotten Cara recent sky rocket then crash. I havent. I'm not sure I'd classify a $2.5 move over the last couple days as a "crash". It's more like a pullback from the all-time high, pretty normal market action.